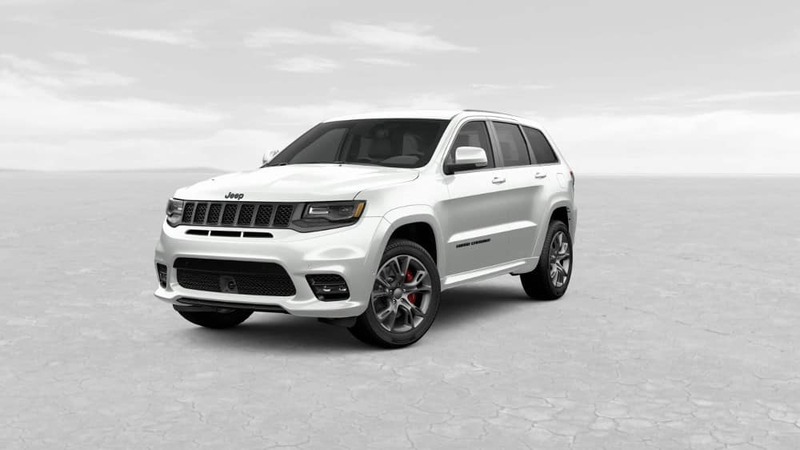 Command the road ahead behind the wheel of the 2019 Jeep Grand Cherokee. The product specialists at DuPage CDJR in Glendale Heights, IL, compiled all the information you need to know about this capable SUV to make your decision easy. 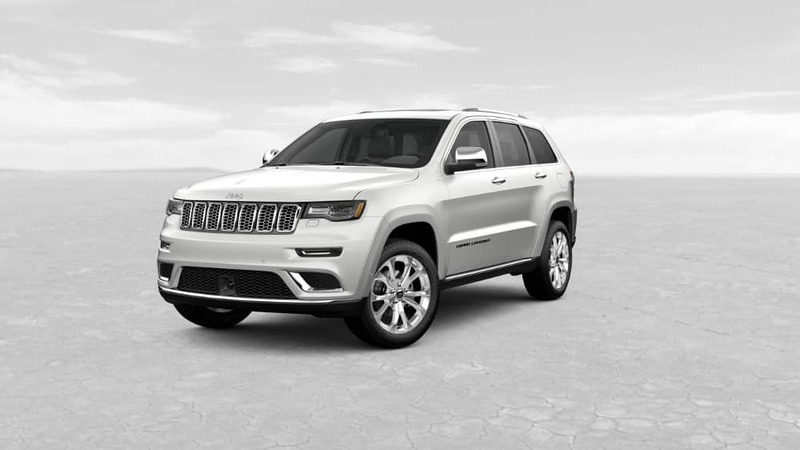 Simply browse our extensive new inventory to find the Grand Cherokee model that’s right for you. Please direct all questions and inquiries regarding the 2019 Jeep Grand Cherokee to a DuPage CDJR representative by calling (630) 984-1559 or fill out our contact form. 12 distinct trims. There’s a unique Jeep Grand Cherokee trim for every lifestyle. Find yours to take your journey to new heights. Four choices. Choose between four powerful engine options that excite and perform to transform your daily drive. Legendary capability. With available Quadra-Trac® 4WD, Bilstein® competition suspension, and Brembo® brakes, you’ll leave no road untravelled. Unbridled power. Exhilarating takes on new meaning when fueled by a supercharged 6.2L V8 engine that boasts up to 707 HP. Designed with you in mind, the all-new Jeep Grand Cherokee is filled with purpose-built luxury. From heated and ventilated leather-appointed seating to advanced technology, this midsize SUV will become your home away from home. Curious what it takes to bring home the new Jeep Grand Cherokee? It may cost less than you think. Check out the Grand Cherokee lease deals and finance specials at DuPage CDJR to see how you can save big today. Spotless!! In these economic times, a sweet vehicle at a sweet price like this Laredo is more important AND welcome than ever* Incredible price!!! Priced below MSRP!!! 4 Wheel Drive!!!4X4!!!4WD!! SAVE AT THE PUMP!!! 25 MPG Hwy** Optional equipment includes: Quick Order Package 2BE Laredo E..., FREE LOANERS!!!!!! PICTURES ARE FOR ILLUSTRATION PURPOSES ONLY. 4 Wheel Drive, never get stuck again!!! Priced below MSRP!!! The price is the only thing that's been discounted on this ready SUV! Barrels of fun! This is the vehicle for you if you're looking to get great gas mileage on your way to work** It does everything so well, except be lazy!!! Optional equipment includes: Quick Order Package 2BE Laredo E..., FREE LOANERS!!!!!! PICTURES ARE FOR ILLUSTRATION PURPOSES ONLY. There is no better time than now to buy this superb 2019 Jeep Grand Cherokee Laredo.. ELECTRIFYING! 4 Wheel Drive, never get stuck again*** This Vehicle won't last long at $7,085 below MSRP*** Real gas sipper!!! 25 MPG Hwy!!! Optional equipment includes: Quick Order Package 2BE Laredo E..., FREE LOANERS!!!!!! PICTURES ARE FOR ILLUSTRATION PURPOSES ONLY. Want to stretch your purchasing power? Well take a look at this spacious SUV!! Priced below MSRP!!! This outstanding 2019 Jeep Grand Cherokee Laredo is available at just the right price, for just the right person - YOU... This gas-saving SUV will get you where you need to go!! All Around champ!!! This fun 2019 Jeep Grand Cherokee Laredo, with its grippy 4WD, will handle anything mother nature decides to throw at you. Optional equipment includes: Quick Order Package 2BC Upland..., FREE LOANERS!!!!!! PICTURES ARE FOR ILLUSTRATION PURPOSES ONLY. You've been longing for that one-time deal, and I think I've hit the nail on the head with this spacious Vehicle* 4 Wheel Drive. Need gas? I don't think so. At least not very much! 25 MPG Hwy!!! Priced below MSRP!!! The price is the only thing that's been discounted on this do-anything Vehicle*** Stunning!! Optional equipment includes: Quick Order Package 2BC Upland..., FREE LOANERS!!!!!! PICTURES ARE FOR ILLUSTRATION PURPOSES ONLY. Rolling back prices.. Want to feel like you've won the lottery? This 2019 Jeep Grand Cherokee Laredo will give you just the feeling you want, but the only thing your long lost relatives will be after is a ride... This credible SUV, with its grippy 4WD, will handle anything mother nature decides to throw at you.. This SUV won't last long at $8,191 below MSRP** Great MPG: 25 MPG Hwy! Fun and sporty!! Optional equipment includes: Quick Order Package 2BZ Altitude, Power Sunroof..., FREE LOANERS!!!!!! PICTURES ARE FOR ILLUSTRATION PURPOSES ONLY. Get down the road in this brawny Laredo, and fall in love with driving all over again!!! Blow out pricing!!! Priced below MSRP*** Won't last long!!! Lower price! Was $35,244 NOW $34,744*** Real gas sipper!!! 25 MPG Hwy!! 4 Wheel Drive*** Optional equipment includes: Quick Order Package 2BZ Altitude, Power Sunroof..., FREE LOANERS!!!!!! PICTURES ARE FOR ILLUSTRATION PURPOSES ONLY. Priced to Move - $8,236 below MSRP... A sweet vehicle at a sweet price is what we strive to achieve* This is the vehicle for you if you're looking to get great gas mileage on your way to work. PRICES SLASHED!!! OUR LOSS IS YOUR GAIN! Ready for anything! 4 Wheel Drive!!!4X4!! !4WD** Optional equipment includes: Quick Order Package 2BZ Altitude, Power Sunroof..., FREE LOANERS!!!!!! PICTURES ARE FOR ILLUSTRATION PURPOSES ONLY.